Can my neighbor put up a 4 x 12 “for sale” sign on my property without my permission? 1. Assuming you have seen the sign with your own eyes, and you believe it to be on you property, have you ever had a survey completed? If so, is there a hard copy of it? It is possible the neighbor placed the sign on the property because they believe they own it. A lead pipe in the ground is not proof of the boundary; stakes get moved, but a legally recorded survey is proof. 2. Sign companies can and do make mistakes. Your neighbor or their real estate agent may have orally communicated the location to the installer and was misunderstood. If someone called about the sign and shared the information over the telephone, it is possible they mis-communicated the sign location to you. 3. The neighbor may have a survey that demonstrates they own the property. 4. The issue could be with a surveyor or the survey itself. As and example, many years ago I sold a home only to discover months after closing the “lot line” went right through the home’s living room. A surveyor made an error 80 years earlier. Property owners subdivide the land, selloff chunks to neighbors, grant easements and more. Occasionally, vital documents were not recorded. Either of you could have an outdated document, or the surveyor could have erred. 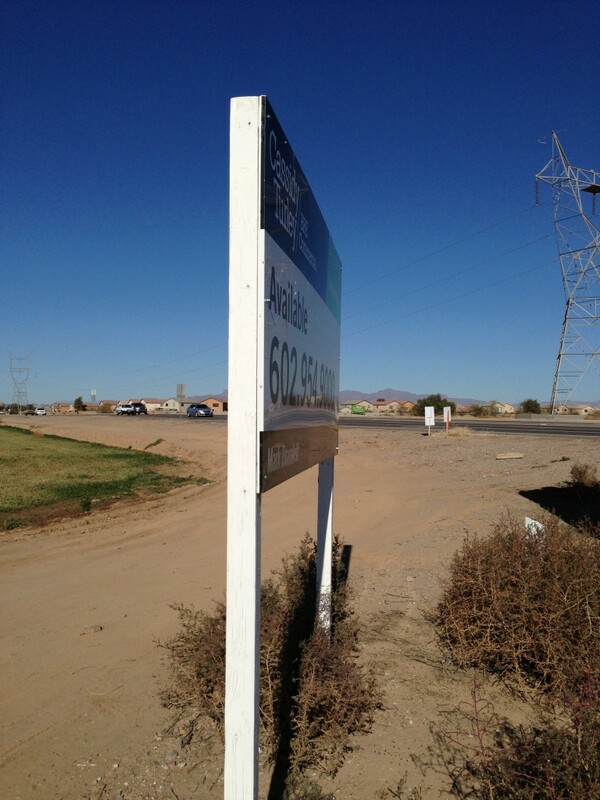 These issues are uncovered when an action like installing a sign, or building a fence take place. 5. It is possible the neighbor deliberately placed the sign on your property. Could the neighbor be conspiring with one of your friends? For a practical joker, this would not be out of the ordinary. Review your survey, make a phone call and take it from there. You should be able to work with the neighbor to resolve the issue. I hope this information is helpful, Monte. Ask me if there are more questions. I would be curious to learn what caused the error or if you still need advice. Good luck.